Today, I went to the Strike Captain meeting of the Seattle Education Association (SEA, the union that represents Seattle’s teachers and educational support staff) and I can tell you that our educators are fired up and prepared to strike, if necessary, to win a contract that helps us achieve the education system that Seattle deserves. 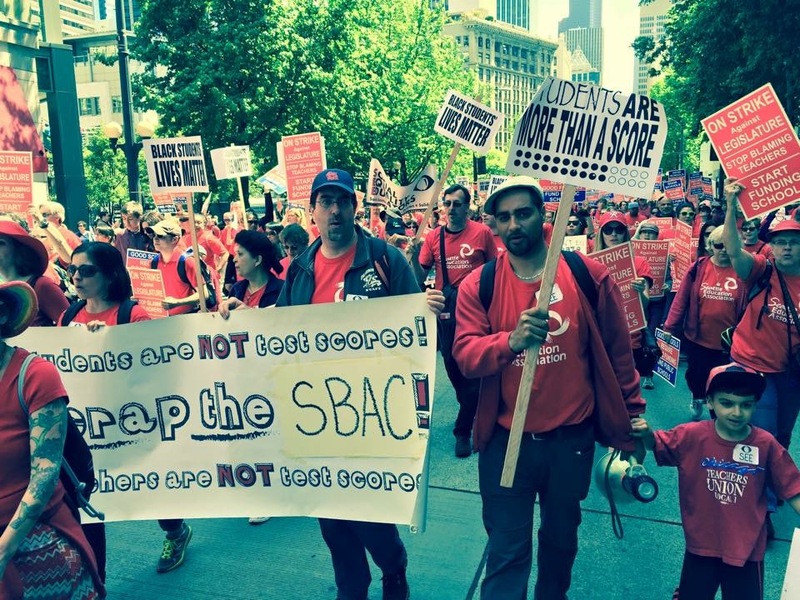 The SEA has been bargaining with the Seattle School District over a new contract all summer. We are now in the final days before school starts and the union and the school district are very far away from reaching an agreement. Thousands of educators will be gathering for general membership meeting on Thursday, September 3rd to either vote to ratify an agreement or to go on strike—but given the disorganized and disrespectful manner in which the Seattle school district conducted itself, I don’t expect that there will be an agreement by the time of our meeting. It didn’t have to come to this, but the district waited until the last days of summer to respond to any of the proposals put forward by educators or put forward any serious proposals of their own. The proposals from the District, as you will read below, will do almost nothing to support Seattle’s educators or students, and in some cases would do great harm. In contrast, the bargaining team for the educators has never in my time as a teacher put forward such a visionary set of proposals to advocate for the type of reforms that would dramatically improve our schools. The union is advocating for a decrease in the use of high-stakes testing. This would include forming a joint committee with the union and the district to accept or reject any standardized testing beyond the federally mandated tests and getting rid of the “Student Growth Rating” that ties tested subject teacher’s evaluations to standardized tests scores. The Seattle School District has inundated our school with dozens of tests that students have to take in their lives as K-12 students, and it’s past time that we reclaim our classrooms for teaching rather than test prep. The union is also fighting for equitable and ample recess across the school district. Many schools in Seattle—predominantly the schools that serve low-income and students of color—have only 15 min of recess, and the union is insisting that every school have a minimum of 45 minutes. This union demand was an outgrowth of the coalition of parents from around Seattle that formed last school year called “Lunch and Recess Matter” who have been fighting for student’s right to have enough time to play and eat. Moreover, our union wants to implement “race and equity teams” at each work site that could identify structural inequities and institutional racism and make recommendations about how to address those issues. The Seattle Public Schools have been shown to suspend African American students some 4 times higher than their white peers. The School Seattle district should be impressed by the leadership from educators in addressing these injustices in the schools, but instead they have rejected this proposal. In addition, our union is asking for case load caps for our schools counselors and psychologists so that they can provide the individual attention that all students deserve. At many schools, including Garfield High School where I teach, counselors have hundreds of students on their caseloads and can’t possibly provide them all the social and emotional supports they need. At my son’s elementary school this year, the principal had to stop all spending on school supplies like paper and pencils in order to use those funds to save our counselor position. These issues are especially connecting with parents around Seattle and are sure to generate a lot of community support if we do end up striking. As of today educators are asking for a 6 percent raise each year for the life of the three year contract—a minimal increase given the fact that we have not had a Cost of Living Adjustment (COLA) in 6 years, while the district has received some $40 million in new monies from the state this year and has approximately $50 million in its reserves. The cost of living has skyrocketed in Seattle and it is becoming increasingly impossible for Seattle’s educators to afford to live in the city where they work. Several other school districts around Washington state pay educators more than they do in Seattle, even though the Seattle’s cost of living is by far the most expensive. 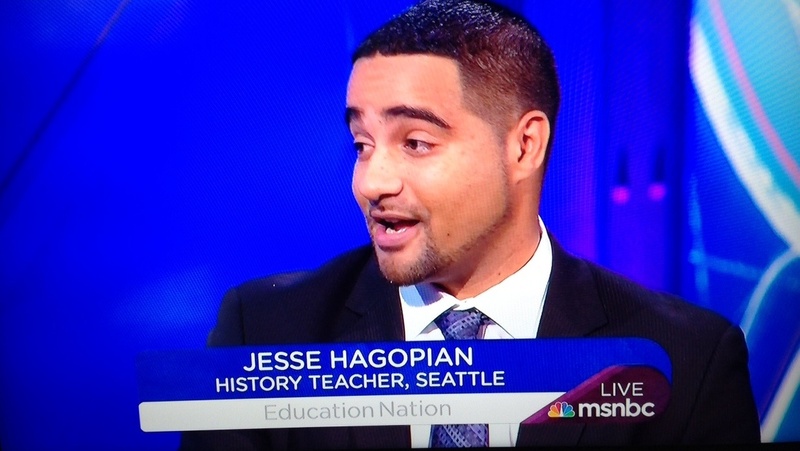 This is unacceptable and the Seattle School district needs to compensate educators fairly. 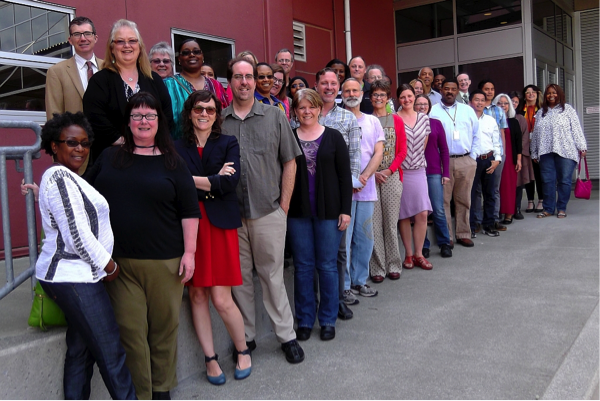 Our bargaining team has done the important work of putting forward proposals that actually meet the needs of Seattle’s families, teachers, and educational support staff. Our members are energized and willing to go on strike, as their participation in the one-day strike action against the State Legislatures’ failure to adequately fund education demonstrated. The SEA leadership has indicated that they are willing to go on strike in a way they never have before in my time as a Seattle teacher. 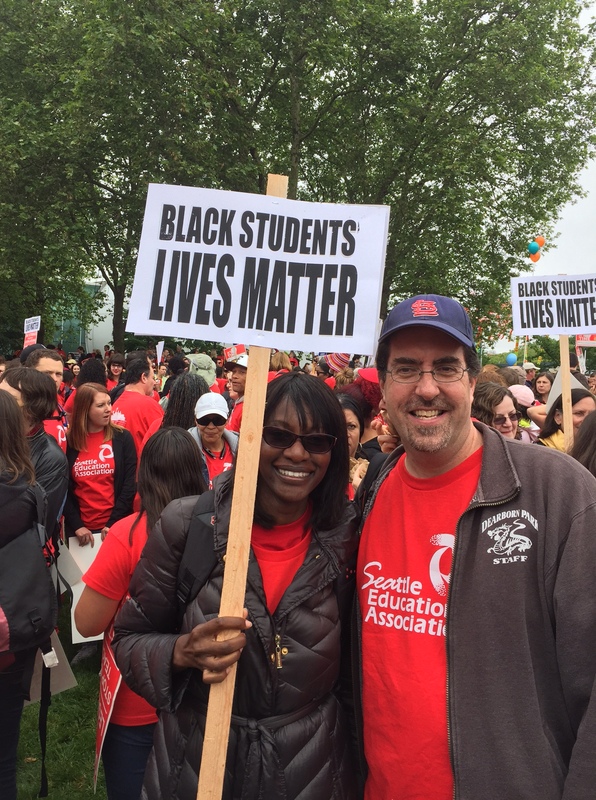 It appears that the Seattle School district has a clear choice: accept our proposals for a just contract that improves eduction for Seattle’s students, or reject our proposal and trigger a strike. We Are Ready to Strike for the Schools Seattle’s Students Deserves! As a union we need to take a stand for what we believe will not only benefit our members, but also address the opportunity gap and make all public schools better for our students. 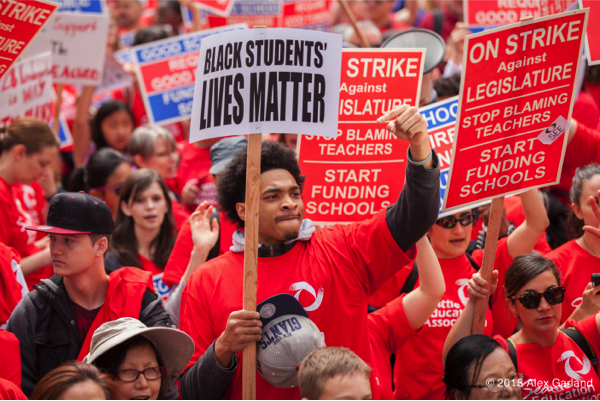 If needed, going on strike is a necessary step to take ensure that the school district listens to educators on what strategies work best in that endeavor instead of an obsession with over-testing. The real threat of strike action can force the district to negotiate and present reasonable proposals and gives us time to organize for a strike and prepare our community for this action. What should we strike for? The SEA has brought very reasonable and thoughtful demands to the table. While no proposals can be cost neutral, the SEA proposals are cost effective. The Social Equality Educators think the following are 8 lines in the sand that we, Seattle educators, should stand for to get children the schools they deserve and begin to address the achievement/opportunity gap in those schools. The district has proposed hiring 7 new ESAs for the entire district… A drop in the bucket. After the last negotiations SPS was supposed to work with SEA to develop firm caps for ESA’s caseloads. That never happened. Students of color are disproportionately impacted when our support staff cannot fully address their needs. Fully funded and supported Race and Equity teams at each building to begin to deal with the problems of disproportionate discipline actions and institutionalized racism. Hire more office professionals (SAEOPS, the Seattle Association of Educational Office Professionals who are the classified/clerical employees of Seattle Public Schools) so that their workload is manageable. Our school secretaries have been saddled with more work as admin struggle to manage the labyrinth of over-testing and evaluations. The only real answer is to their workload issue is to hire more staff to accommodate the increased demand. Scrap the Student Growth Rating! Uncouple test scores from teacher evaluations and develop a fair and equitable evaluation procedure that has integrated reliability (works the same no matter who is evaluating you). Coupling test scores and evaluations is based on junk science in the first place and is completely inequitable given not all teachers teach tested subjects. This kind of “accountability” only serves to drive the best teachers away from schools facing social and economic disadvantages. Mandatory 45 minutes per day of recess for children. Exhaustive studies have shown that more academic instruction commonly referred to as “seat time” does not equal better test results, let alone a better education. Social and emotional development is of extreme importance in childhood development. The unstructured environment of recess is crucial to this process. An increase in compensation that reflects the fact that there has not been a Cost of Living Adjustment (COLA) in 6 years and that the district has received quite a bit of new discretionary funds from the state. The Seattle School District administration offered a 2% raise the first year, 3.2% the second year, and a 3% raise the third year. In contrast, SEA has proposed increases of 7 percent a year for three years, which is much more in line with what is needed to continue attracting and keeping educators in Seattle. There are several other school districts around Washington State where the teachers make more money, yet Seattle has by far the highest cost of living. No lengthening of the school day. Especially if the district is not willing to pay for it. As mentioned earlier, there is no evidence that more instruction time alone will produce results. The district is once again telling students and teachers to do more with less. The money is there. The district has received an extra $32-40 million from the state and levy funding. That is to say nothing of the reserves, which are more than double their legal requirement. We say that money ought to be spent to begin to give our children the schools they deserve. Who are Social Equality Educators (SEE)? I wish the Seattle teachers well. Is that a typo: “…the Schools Seattle’s Students DeserveS”? The key here is “and benefits”. What, exactly does that include? What is the average without benefits?